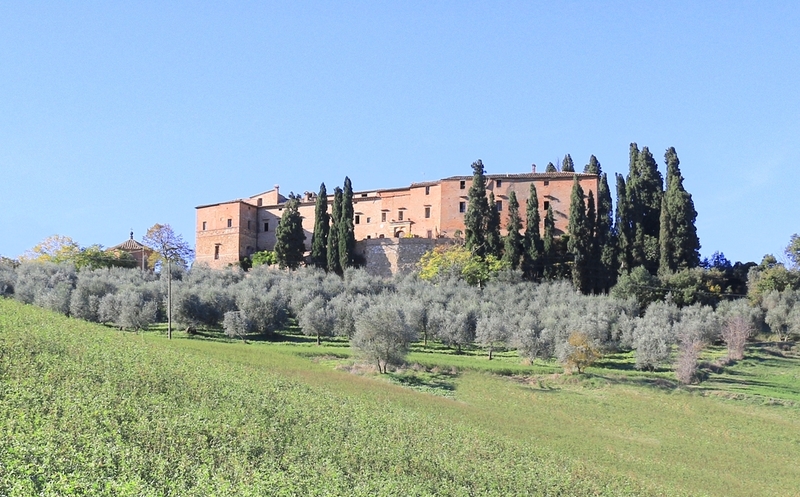 Near Montalcino, in the sought after Val D'Orcia area of Siena, 14th century castle of 3,800 sqm with chapel. 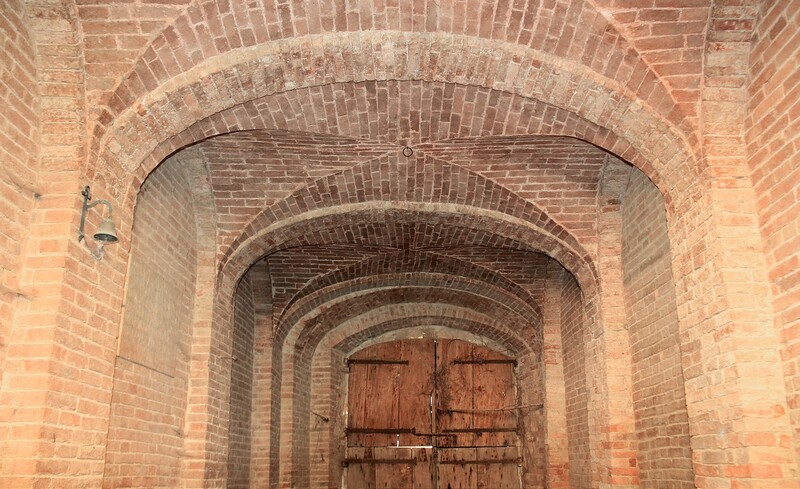 Requires restoration. 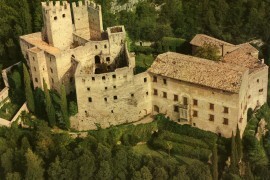 Montalcino Castle. 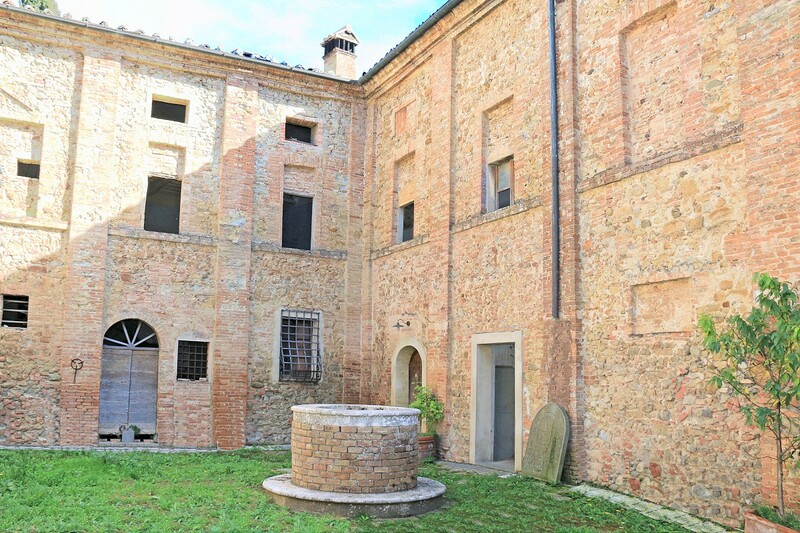 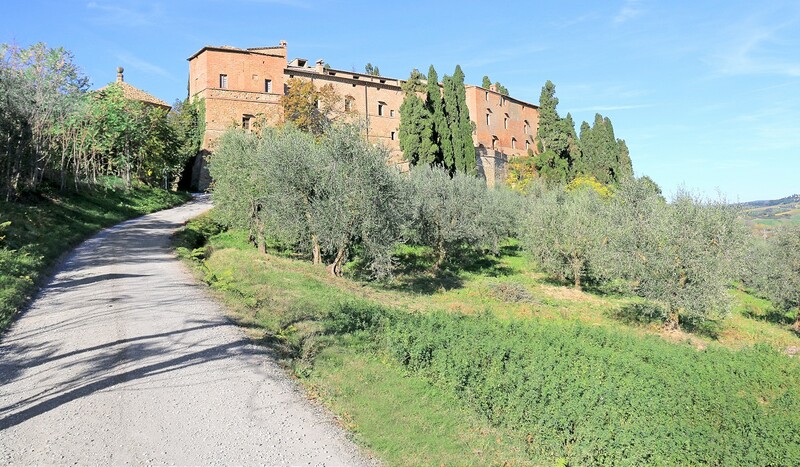 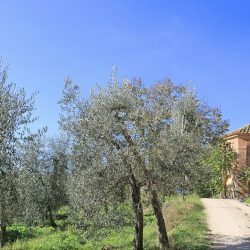 Located not far from famous Montalcino, in the sought after Val D’Orcia area of the Siena countryside, this historic castle dates back to the 14th century and has 7.5 hectares of land, with a further 11 hectares available. 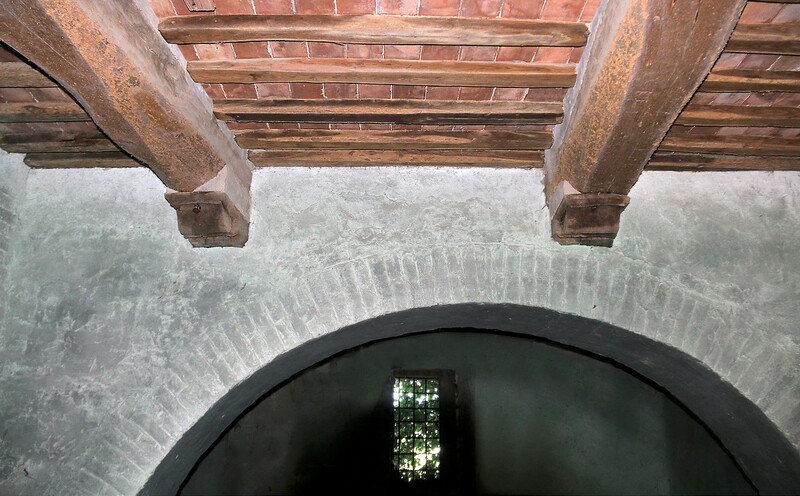 The estate also has an octagonal chapel built in the 16th century. 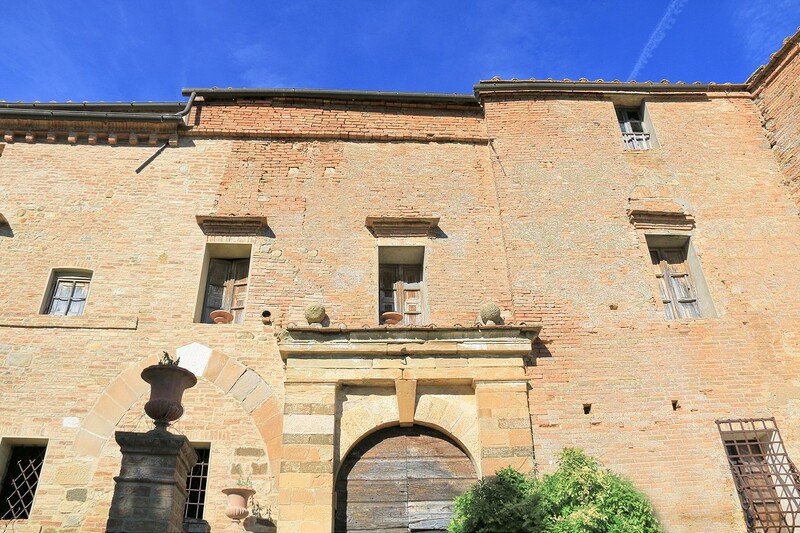 The 3,800 sqm castle requires complete restoration and would be an ideal location for a luxury boutique hotel. 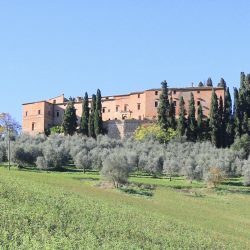 This stunning castle is located a few kilometres from renowned Montalcino, in the Val d’Orcia area in the Siena countryside. 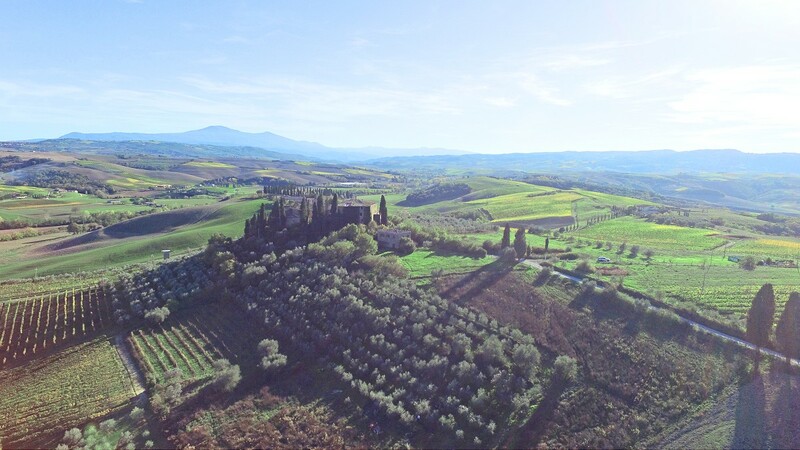 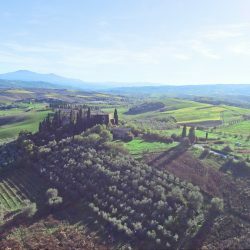 Montalcino is world famous for its popular Brunello wine and in fact the entire area is renowned for the production of excellent wines. 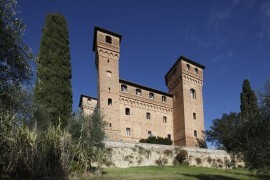 Other important cities in the area are Montepulciano (about 35km) and Pienza (about 20km). 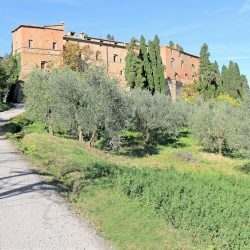 Siena is approximately 40 minutes away, and is one of the most beautiful and visited cities in Tuscany because of its rich history, works of art and local traditions and it is here that the Palio di Siena takes place each summer in Piazza del Campo. 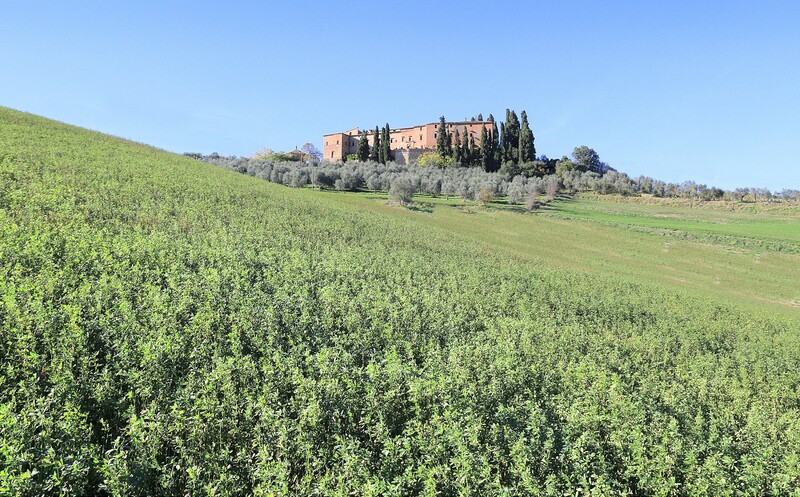 The popular horse race has been a tradition in Siena since the Middle Ages. 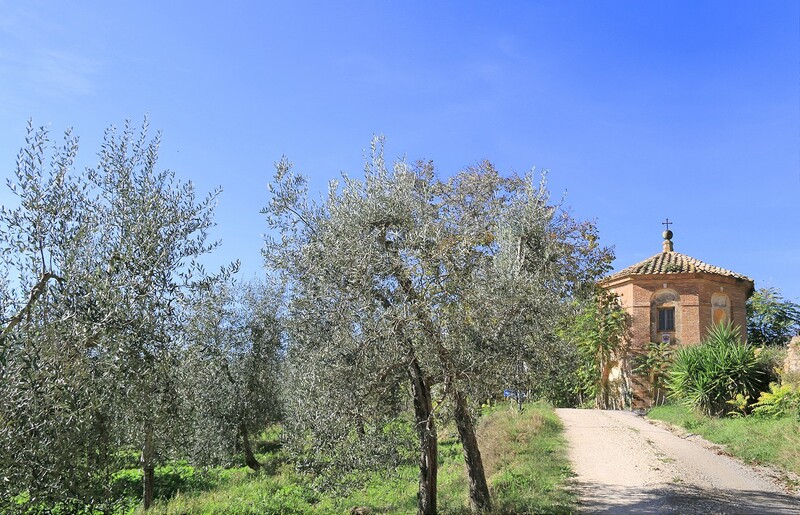 The property offers scenic views of the surrounding countryside and is located in an ideal area for wine making. 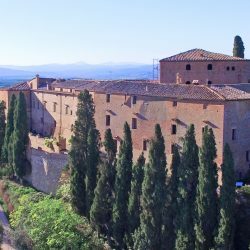 The castle measures approximately 3,800 sqm and is on 3 floors, plus a basement. 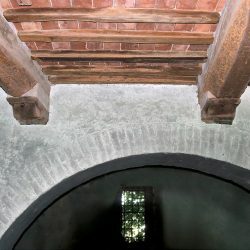 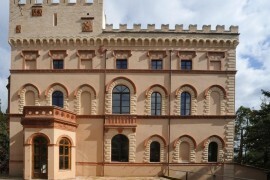 The castle is divided into two separate areas, connected by a central courtyard with an characteristic well. 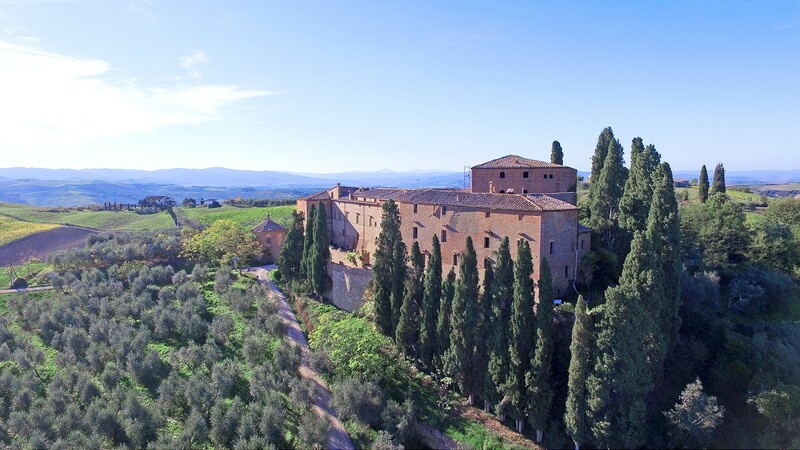 A beautiful family chapel that dates back to the 16th century completes the estate. 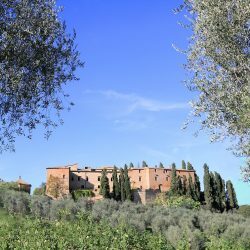 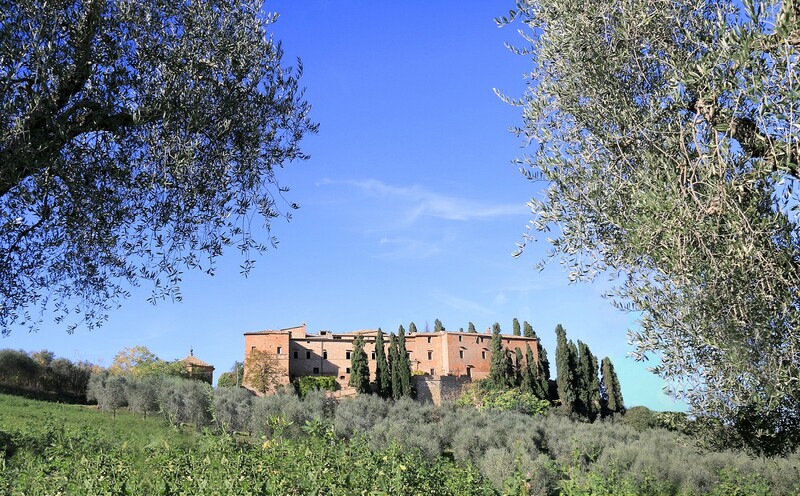 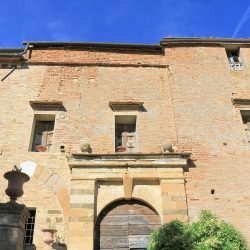 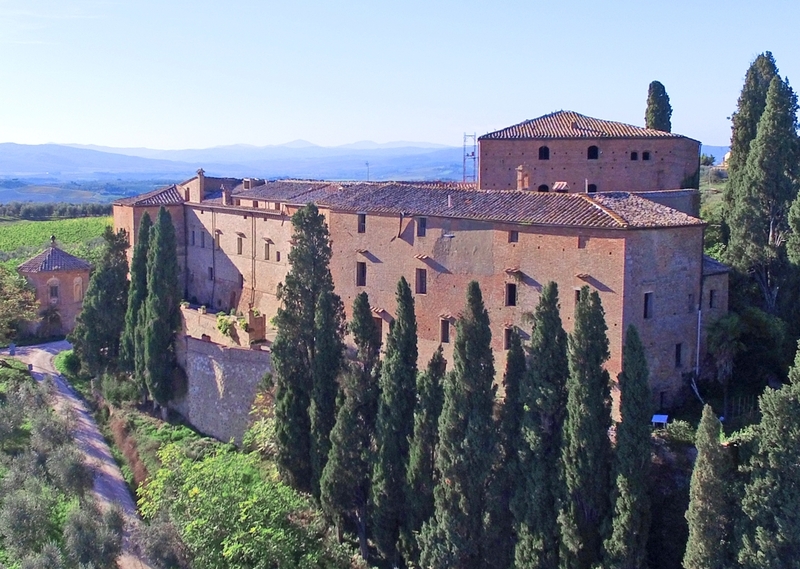 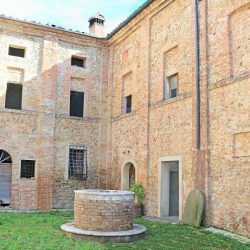 The castle requires complete restoration works and is ideal for anyone interested in purchasing a historic Tuscan castle and transforming it into a luxury boutique hotel. 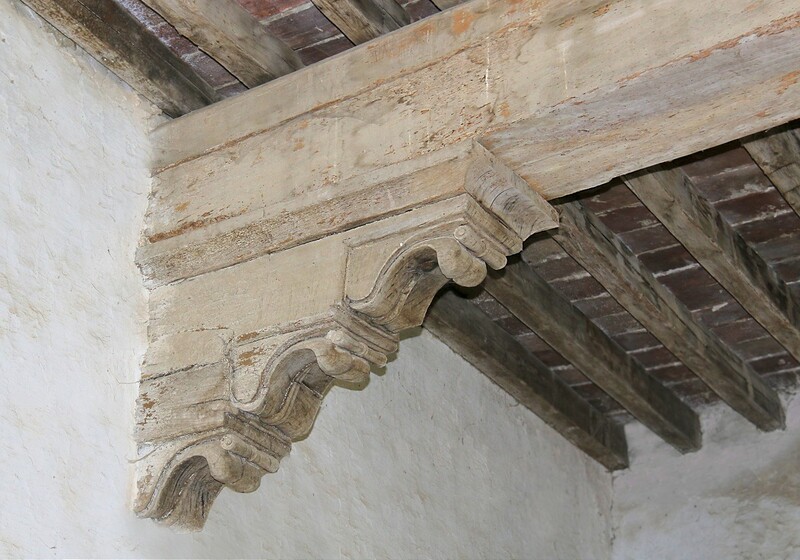 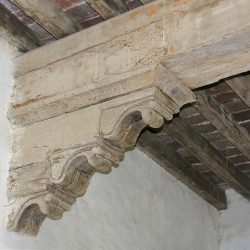 The property requires complete restoration works. 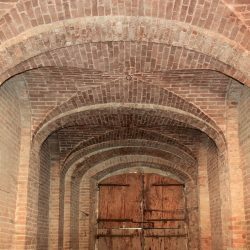 Utilities can be obtained as part of the restoration process. 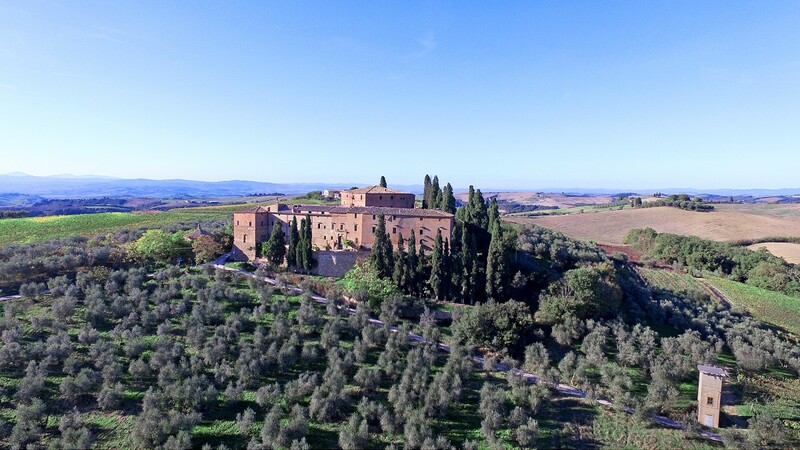 The estate is ideal as a very impressive large residence or a luxury, boutique hotel. 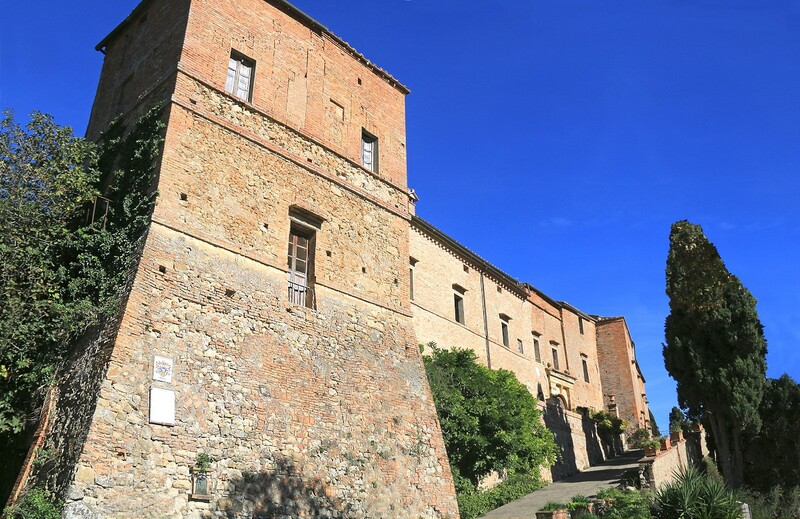 • Golf Club La Bagnaia offers an expansive golf course, as well as a luxury resort with spa services http://www.hiltonhotels.it/italia/la-bagnaia-golf-and-spa-resort-siena-curio-collection-by-hilton/golf/. 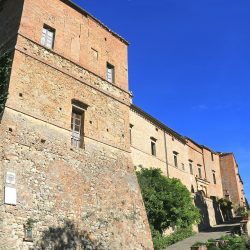 • Cantiere Internazionale d’Arte, Montepulciano: every July, opera, music, prose, art and multimedia become apart of this wonderful festival in Montepulciano. 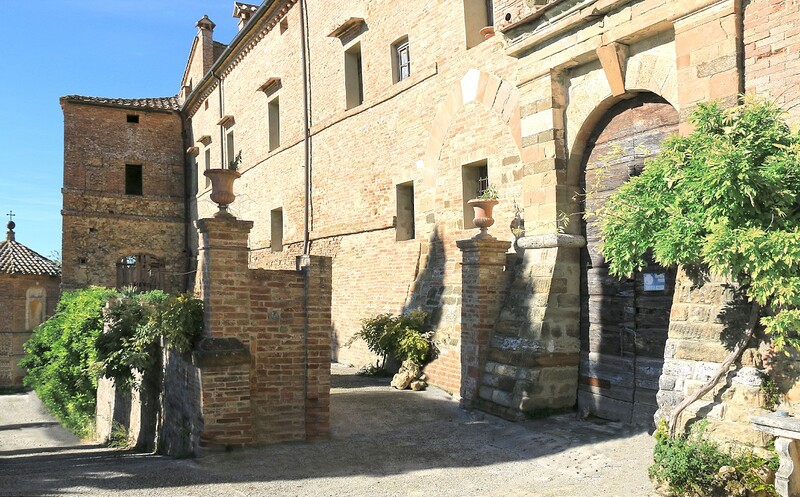 Thanks to the many well-known artists that participate each year, Montepulciano, was able to gain national recognition in its fine arts sector. 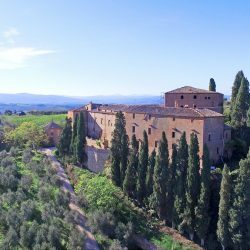 • Pienza Music Festival, every summer in Pienza, this amazing festival brings together, professional violinists and violists to perform their music for the public, in concerts and in-house recitals. 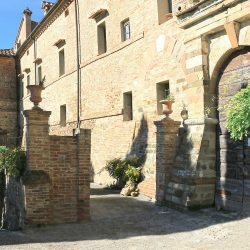 • Le Logge del Vignola is a chic restaurant where visitors are also able to indulge in traditional cooking classes http://www.leloggedelvignola.com/. 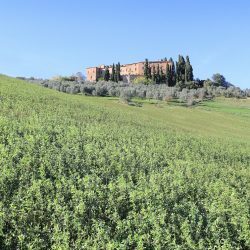 • Etruria Resort & Natural SPA is a 4 star hotel in Montepulciano. 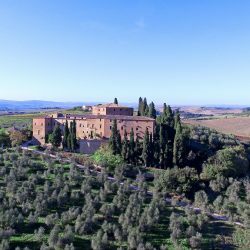 Their attention to details and quality of service will leave you with an unforgettable and positive experience http://www.etruriaresort.it/.